It’s the highest office in the land. The President of the United States is the commander-in-chief, the Big Kahuna, and some of our past presidents were even considered cowboys in their own right. President’s day was established in 1885 to honor George Washington’s birthday on February 22nd. But, the holiday was moved to the third Monday in February to create a 3 day weekend for the nation’s laborers. The date falls between Washington’s and Lincoln’s birthdays, and eventually the holiday morphed into a day to honor all of America’s Presidents. Well, we want to celebrate President’s Day the Harry’s Boots way! So we’ve made a list of some western looks inspired by these legendary leaders. This list is a rowdy bunch of positively proud presidents who kept the western spirit alive, all the way to the White House. Though he was the general for the North during the Civil War, Grant’s style and attitude embodied a true western cowboy. He didn’t care much for military dress, and most of the time he donned a civilian hat and coat rather than his fancy Union issued blues. When he did wear the uniform, it was often unbuttoned and disheveled. He would ride his noble steed into battle with muddy boots and a cigar clenched between his teeth. It doesn’t get much more cowboy than that. When you think of a living President with a true Texan nature, your mind goes right to George W. Bush. His downhome, simple demeanor became synonymous with his office, spending most of his off hours in wranglers and cowboy hat. It’s even said he always kept his cowboy hat resting on the the Resolute desk in the Oval Office. President George W. Bush projected the image of a true salt-of-the-earth, Texas country boy while in office. Ronald Reagan was an actor in Hollywood and a star in old western films before he ever became president. Though his feisty wife Nancy kept his style reigned-in, sharp and fashion forward, there was also an heir of country to Ronald Reagan’s style when in office. He’d often sport a cowboy hat and cowboy button down for a more relaxed look. Many photos of him donning classic western attire have become American icons. LBJ was a Texas boy through and through. He was born and raised on his family’s land right here in the Texas Hill Country, where he eventually died. This old Texan president was a bit rough around the edges, told it like he saw it, and didn’t-take-no-guff. In other words, he was a real cowboy. Most of the time during his presidency he wore some rendition of a pale colored cowboy hat, no matter what the occasion. He wasn’t sleek like his predecessor JFK, in fact he was quite the opposite, but his frank western style distinguished him as a no-nonsense kind of president. Our final president on the list is perhaps the most legendary cowboy of all. Teddy Roosevelt was a man of mythic legend. He was a soldier, explorer, Rough Rider, and then a president, who slayed mighty beast and rode head long into the fray. He was the ultimate man’s-man cowboy. And his style reflected his grandeur as a president. The classic Teddy Roosevelt outfit included a cowboy hat, scarf knotted around his neck and knee high boots, as if ready to go explore the Amazon at a moment’s notice. Feeling inspired by these former presidents’ western style? 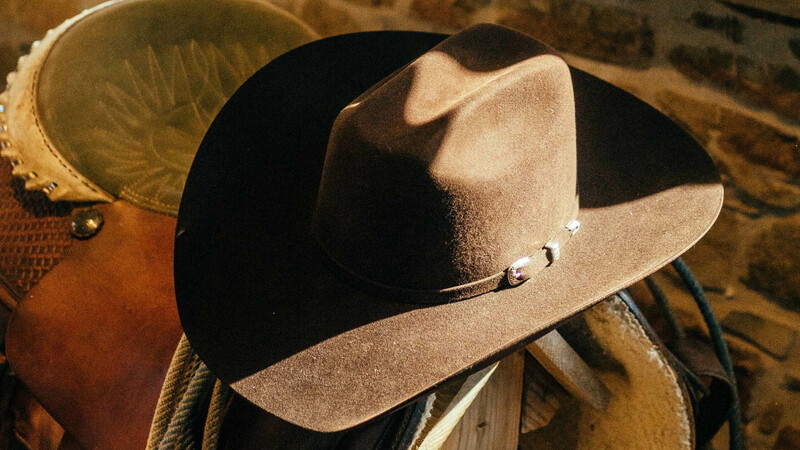 Here are a few wardrobe pieces to help you start dressing like a cowboy commander-in-chief!